Hi @BobWay, thanks for sharing your views and responding to our questions. One of the reasons I started buying XRP back in ‘17 was bc of Basel and how a digital asset like XRP might enable banks to manage regulatory burdens related to capital requirements and liquidity. To the extent a bank can hold XRP directly in the future doesn’t it free up dollars to meet Basel 3 requirements? Can you shed any light on the interplay here and how XRP might fit within the Basel 3 puzzle and benefit banks from a regulatory perspective? Thanks! Hey @ManBearPig, Steve here. It was a slate colored suit. Where’s my money man? Pay up! Well said Lawsuit. I echo your sentiments. Welcome to @BobWay and thank you to @Hodor for his selfless and consistent work to bolster this community and teach members as they join. I would double check this. My understanding is trading crypto to crypto is a taxable event and it isn’t just when you cash out USD. Right now with the government shut down, the SEC and CFTC are not doing anything unfortunately, including approval of Bakkt. Will take some more time but I don't foresee any regulatory roadblocks for Ripple. Everything I have read seems to point to them having done an outstanding job engaging with regulators and going about the process in a thoughtful and strategic way. Strap in. Prepare for ignition. You don’t have to say it out loud. Just type it. We will read it silently to ourselves, we promise. I decided to throw some money at this. There is a company behind it and with connected autonomous devices taking over everything, I think this has real potential. Why’s that? You think it’d be viewed as a dividend? Would need to weigh that versus decentralization bc we’re already at risk of being deemed a security. If Ripple doesn’t control majority of coins they’re much better off. I was just noodling, haven’t researched the securities issue much yet and am not an expert in securities law. My focus is on technology and commercial transactions. Decentralization is of upmost importance given the dialogue in Congress this past week. 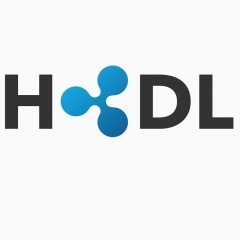 Technical decentralization with additional public validators is one thing but Ripple owning 60% of XRP is more concerning to me because it is an easier issue for the idiots in Congress to comprehend. 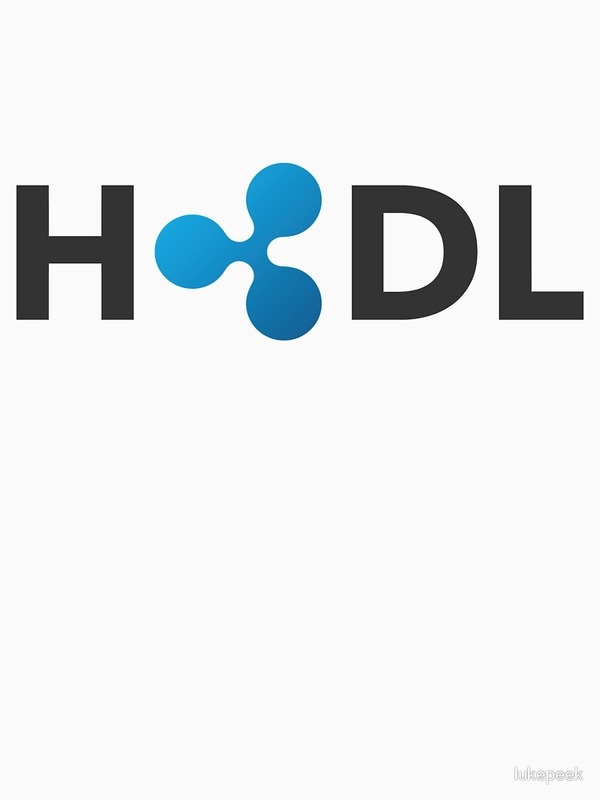 Perhaps an airdrop to current hodlers until Ripple's position is 49% might be a way to address it but with their position escrowed it would need to be part of a long term plan with any portion not sold to partners being sent to hodlers. If Ripple announced something like this it'd certainly drive near term liquidity and if it put the XRP is a security debate to rest it may sustain that growth for the long term. https://coincenter.org/link/sec-chairman-clayton-bitcoin-is-not-a-security "Congressman Emmer stands up for cryptocurrency innovation and gets important regulatory clarification from the SEC. In today’s hearing, Congressman Emmer (R-MN) had an excellent line of questioning for the Director of the SEC’s Division of Corporation Finance, William Hinman, on the subject of open blockchain tokens and regulation. Hinman responded that the initial sale of a token is difficult to have without it being security issuance. But he also said that “it is certainly possible that there are tokens that would not have the hallmarks of a security.” He went on to specify what a token that doesn’t have those hallmarks might look like: “a token where the holder is buying it for its utility rather than investment, especially if it's a decentralized network in which it’s used with no central actors.”"
When was this video recorded? I’ll see what I can find in the reports. But his strategy includes investing in several coins. now is a good time. or now. or now is also good. So your CPA didn’t determine tax liability for each individual trade? Are you saying he only looked at the $ you put into crypto (as your basis) and then the $ you withdrew from crypto with the difference being your gain? And then depending upon how long you held applied the applicable cap gains rate? That would certainly make things easier as I’ve never withdrawn anything. I was planning on reporting each time I bought BTC (my basis) and then each subsequent trade from BTC to XRP with the difference in price being my gain or loss for each applicable trade. You put your money where your mouth is @tar. I like it. Let the haters hate. Nothing happened. Nothing to see here. Me too. Those on the sidelines waiting for regulation will know when material progress has been made from a regulatory perspective and enter before legislation is final. I think the price will move before any regulatory oversight is announced and then it’s too late. DCAing on the way down is more effective from an accumulation perspective than waiting and hoping you can time the bottom. @DrWhoAmI, I've been perusing THC the last few weeks but haven't had the time to follow as closely as I'd like. I am interested to know what you find to be the most captivating theory or storyline at this point. Seems to be a lot of excitement on Twitter around Tezos. Anyone here interested in XTZ? The Great XRP CHAT Politics and Religion Discussion! Good to see a reasoned thoughtful political opinion out of the Pacific Northwest. I am aligned with most of what you said except for Obama being a good guy. That good guy image is fake and all for show. Obama has a problem with America. He despises the Constitution and people that look like me. I’ve been thinking about buying some ADA.